This question came about due to the changing preferences of media types. Many members of the younger generations are stuck to their mobile devices like glue, their eyes fixed on social media networks, their faces enthralled by the latest photos and videos of the stars they are following. Because of the rapid changes of media consumption, conventional forms of media are severely affected－print, radio, and even television－although many of them are coping well. Just like how other forms of media are able to muddle through the effects of the increasing number of online users, a press release is also able to evolve. They are found on company websites and are pitched to a much wider directory of media contacts that now includes bloggers and vloggers. In this way, the press release is still serving its purpose in marketing, which is to inform the media about an event that they can consider publishing or making an actual story out of. A press release is essentially content. A well-written one can become a cost-effective publicity tool for the company. Because it is a company’s statement, the management can focus on the key messages it wants to relay to its target audience. This helps in managing the reputation of the business. A beautifully crafted press release can be enough for editors, reporters, and bloggers to pick it up for publication on print or online. But there’s also another reason press releases should be written well: Google loves it. The world may now be living in quick, convenient times, but many of us still crave to make sense of things, and to be able to read a professionally written press release about a product we are craving for or a service we badly need is truly providential in our decision-making process. So, should your team still invest time and energy in writing press releases? Yes. In fact, it should be a staple in any communication team of a company day in day out. 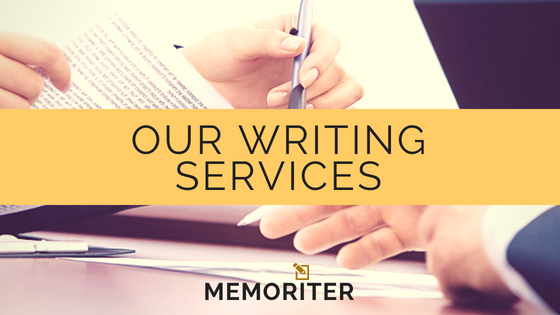 When you need to write more but you have to focus on other equally important things at work, consider hiring a professional writer at the Memoriter. Inquire about our press release writing and other writing and editing services via email: nrcudis@gmail.com.